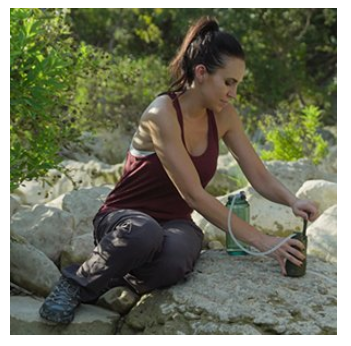 What is the first thing you need after drinking water in any outdoor expedition? Yes it is fire, and to light any fire, you need fire starter. 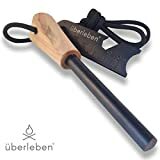 You can choose any type of fire starter according to your budget and need, but we encourage you to check our best survival fire starter review 2019 before buying any kit. Much hotter than a butane lighter's flame. Hey do you remember “Man vs Wild” also knows as ‘Born Survivor: Bear Grylls Ultimate Survival’ in discovery channel mega TV show. Bear Grylls who was the survivor in all those wild terrain team up with Gerber for making the ultimate fire starter which everyone can trust. Bear Grylls and Gerber team up to bring the best fire starter with Gerber Company has 70+ years of expertise in making quality knife and surviving gear. 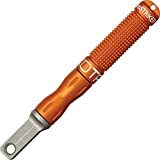 Both of them team up to bring one-of-a-kind knife, tool and surviving gear which are practical in nature and has been tested by Bear Grylls in all terrain. This surviving gear contain fire starter made up of ferrocerium rod and a metal striker and emergency whistle. Comes with waterproof storage compartment to keep tinder dry. 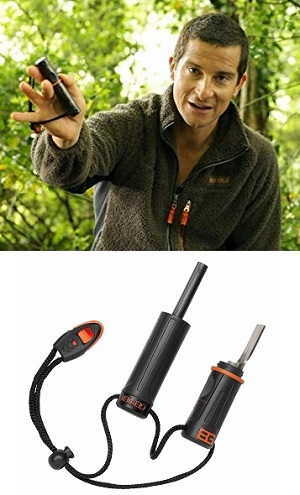 If you are fan of Bear Grylls then this fire starter kit is for you, made with best quality product. Sparkl® is the best multipurpose survival gear which you always keep with you, when you are going out for any expedition. The survival gear impress us with its capabilities as starting fire, it can lights up to 15,000 times without fail and is weather, cold and windproof. 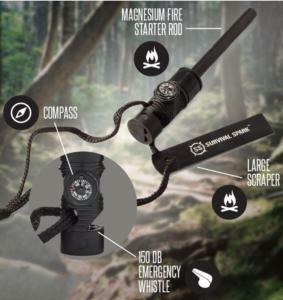 The survival gear has magnesium fire starter rod, a large sticker, a high quality compass and a 150 db emergency whistle which makes this a complete kit for any outdoor activity. 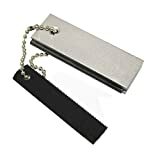 Very easy fire starter block which include magnesium sold body and black flint striking rod. If you want fire starter kit which can be used even in rain then you can use this awesome fire starter kit. 1 – Gather tinder (dry branches, bark, grass, pine needles, lint, paper, etc.) of the preferred size/amount. 2 – Use the serrated edge of the striker to scrape along the length of the magnesium rod to create shavings. 3 – You can either sprinkle the magnesium shavings throughout the tinder pile, or scrape the shavings into a cluster to the minimum size of a U.S. quarter coin. 4 – Then hold the flint at an angle over the pile, while forcefully sliding your striker along the length of the flint to create sparks. 5 – Continue to slide the striker against the flint until the sparks land directly onto the shavings pile and ignite a flame. • Mini compass—size: 4.5mm x 20mm dia. This is the value for money product which you can use even in rain. 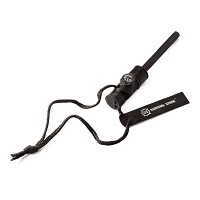 This is the best durable fire starter which you can use in emergency situation. 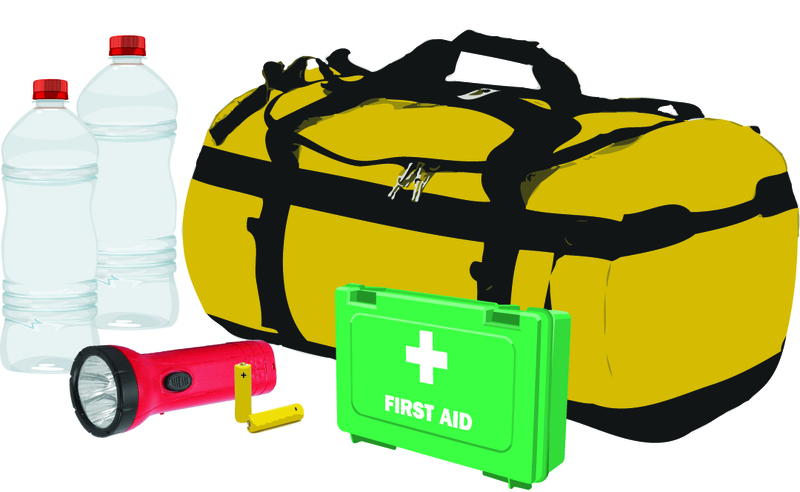 This kit also include emergency whistle which will keep you safe if you are in emergency situation. This is not fancy looking fire starter but can gives you 12,000 strikes and can be used in all-weather condition. If you are looking for old match kit which can be used in all-weather condition and are safe with children then you can definitely check UCO stormproof match kit. UCO stormproof match kit comprises with 25 windproof matches 3 strikers and match case which can hold 40 matches. Dimension of match kit include 2.75 inches (7 cm); Kit weight: 1.7 oz. (48 g). 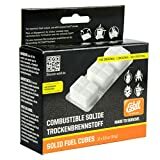 Use this solid fuel tablets when you are in cold and you don’t have any material to burn. These are virtually smokeless and residue-free solid fuel tablets which has 4-gram size. This pack contain 20 tablets and each 4 gram tablet burns for 5 min and generate approx. 1300°F heat which is enough for warming beverages. 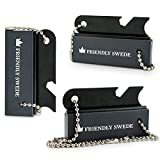 If you are looking for quality product then you can definitely go with swede emergency fire starter block, this comes with life time warranty. Get super-hot strike every time you use them. This is the simple fire starter we came across while we review on top fire starter list. 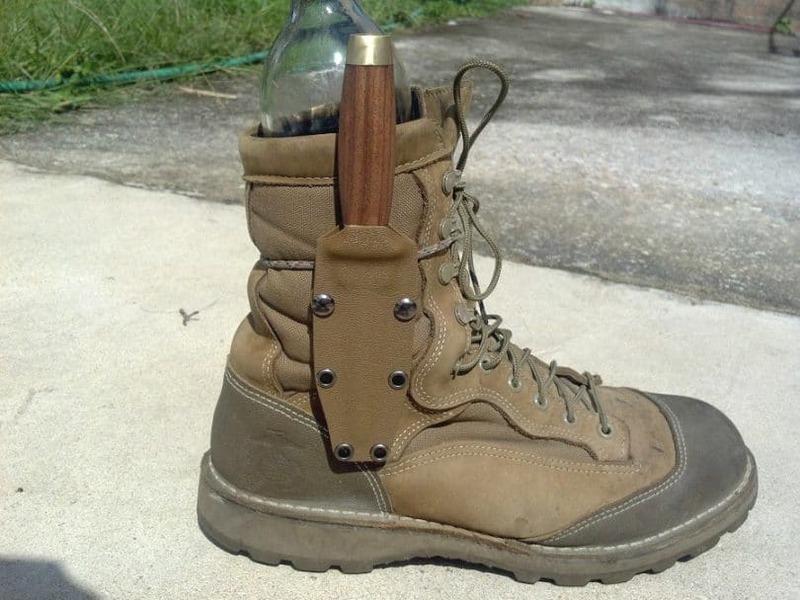 It only has one wooden handle and inner rod which is capable of providing 12,000 strikes. 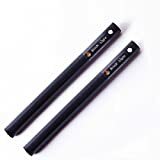 Come with safety coating which can preserve ferrocerium rod for longer time use. If you are looking to buy any fire starter kit which will help in any emergency condition or can be used in outdoor expedition such as hiking, camping or other outdoor activities, then you should carefully read our buying guide. How open do I go for camping or hiking? If you are camping a lot then choose those items which has more quantity and give you more strikes like 30,000. If you are not camping too frequently then you should chose those product which last long and has longer life. 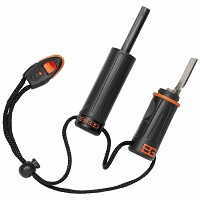 Are you going to use these fire starters as hiking, camping or any outdoor survival activities? Or do you want to store them in your vehicles or part of your natural disaster kit at home. There are two type of fire starter one is magnesium block and another one is Ferrocerium Rod. You can choose from these two and check which one is more suitable for your purpose. This is the most important thing to choose any product. Always choose according to your budget and check if that fit into your need. Higher price did not mean good quality and lower price did not make it lower quality. Check your budget and decide how much you want to spend on these emergency gears. With all those fire starter review, we hope you can now decide which fire starter is well suitable for you and your outdoor expedition.